single master account to multiple slave accounts. Only you should run master and slave accounts at same PC or VPS. Master account could use main password or investor password, but slave accounts needs to login by main password. 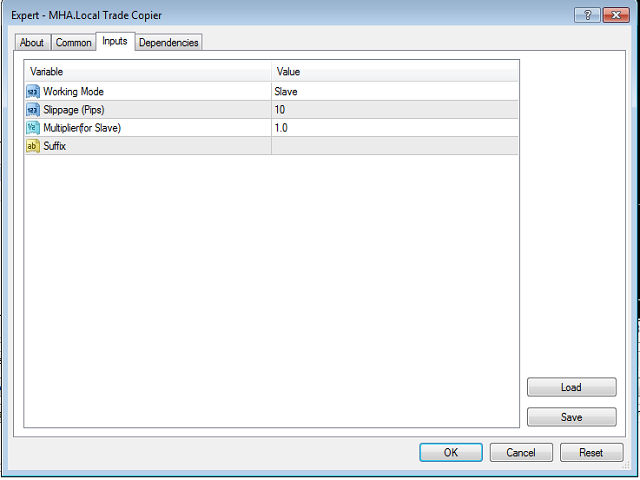 Using this copier you can copy trades between different brokers with different symbol suffix. 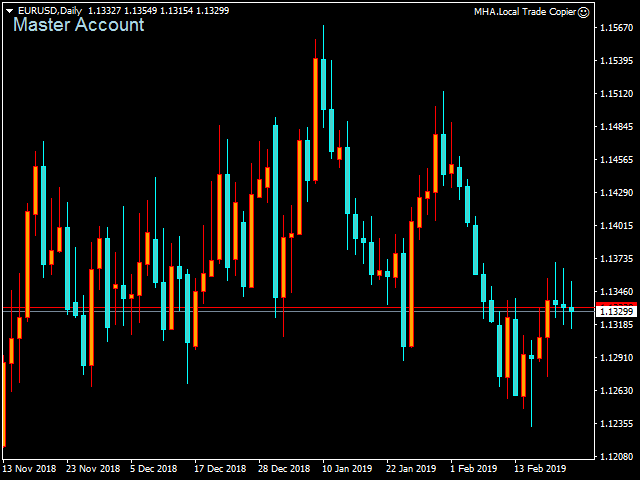 For example if broker of master account has EURUSDi Symbol and broker of slave account has EURUSD.stp symbol you can set the suffix at Master account as "i' and suffix in Slave account as ".stp", then your copier will copy trades from Master account to single or several Slave account(s) properly and quickly. Working Mode: There are two mode. Slave: Should be selected for destination account that you want to copy to it. Slippage (Pips) : Maximum acceptable difference between source and destination price at trading time. Multiplier(for Slave) : Multipier is usable on Slave account when you want copy trade with different Lot Size. Suffix: Is used when Master and Slave accounts had different symbol name for same pair. If you need more description or help to install and use the copier, I will be happy to help you.